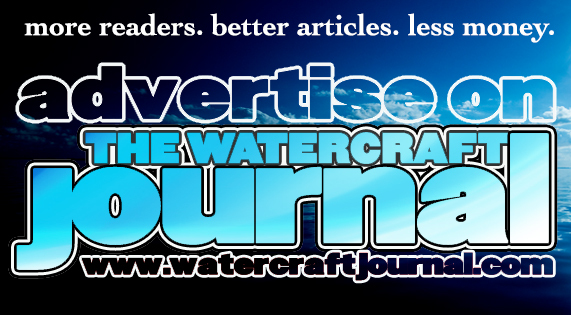 Real Review: Slippery Liquid Race Boot | The Watercraft Journal | the best resource for JetSki, WaveRunner, and SeaDoo enthusiasts and most popular Personal WaterCraft site in the world! Have you ever heard of “you judge a man by his shoes?” Although that’s a pretty rotten way to topically size-up someone based upon their fiscal stature, it actually traces back to far more utilitarian roots. A workingman could be readily identified by his footwear, as the right shoe was tailored for the job. You wouldn’t wear lacy dress shoes to the construction site, would you? Nor would you typically clod around in your steel-toed work boots at a wedding? We didn’t think so. 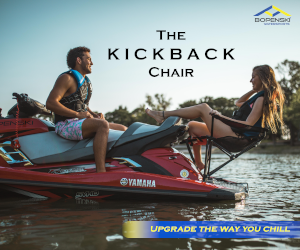 That is why when it comes to riding your personal watercraft, footwear is understandably as specialized. When the sun is out as are the temperatures, it’s easy to forgo the footwear and ride barefoot. While that’s all good fun, humans lack the same natural traction pads to keep you from slipping and sliding in the tray. Likewise, the soft skin of your feet can be rubbed raw, scraped, and cut rather easily; turning a fun day on the lake into an impromptu trip to the emergency room. As part of our long term testing, we’ve used these boots for several years now and have found very little fault. The only complaints were the time needed to dry after use and the discoloring caused by the glue leeching out of the sole after time. Knowing this, many resort to wearing worn out tennis shoes, flip flops, wrestling boots and even Crocs while out on the water. Even the best athletic shoe doesn’t have the proper drainage or breathability that a waterborne shoe does. And never at anytime should you ever be caught wearing Crocs. Seriously man, show some self-respect. We’re not joking. Rather, we strongly recommend using shoes specifically designed for water use, and not to put too fine a point on it, we strongly recommend Slippery’s Liquid Race Boot. 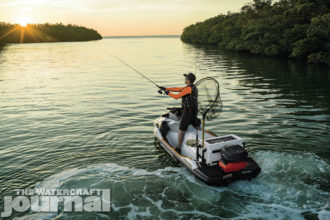 Yes, that would make this the second review of a Slippery product that has received glowing praise from The Watercraft Journal, but it’s not for anything less than surviving some of the harshest usage. Following our protocol of comfort over fanciness, the Liquid Race Boot is all aces in the fitment department. Featuring an internal heel and athletic sole, the shoe feels like a thick-soled high-top basketball shoe, with plenty of spring and give. The underside has a grippy rubberized pattern for plenty of traction with an anti-abrasive, highly durable heel and toe for increased durability. This feature comes in real handy to those riders to “lock in” their feet in the tray while riding in rough offshore conditions or through tight turns. 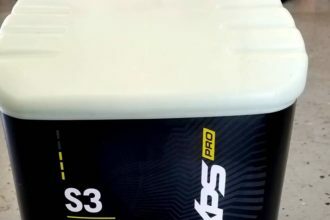 The “chassis” is made from Slippery’s “Airmesh” – a perforated material offering superior ventilation and drainage as extra drain holes siphon out any extra moisture. 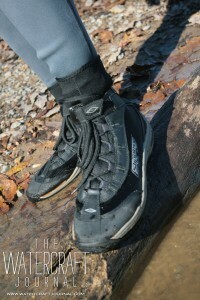 The Liquid Race Boot has a removable inner 1.5mm neoprene booty that slips in and out easily with the use of the boot’s durable pull-tabs and thick laces. A heavy-duty Velcro strap cinches the top of the boot tight. But don’t let the “race” part of the boot deter you. This is a great shoe for recreational riding as much as for racing. Providing plenty of protection while keeping your feet comfortable are attributes in riding apparel good for any condition. The shoes’ integrity never failed. We never snapped any laces, tore any pull tabs off or had a sole split – which are all major complaints of competitors’ race boots. 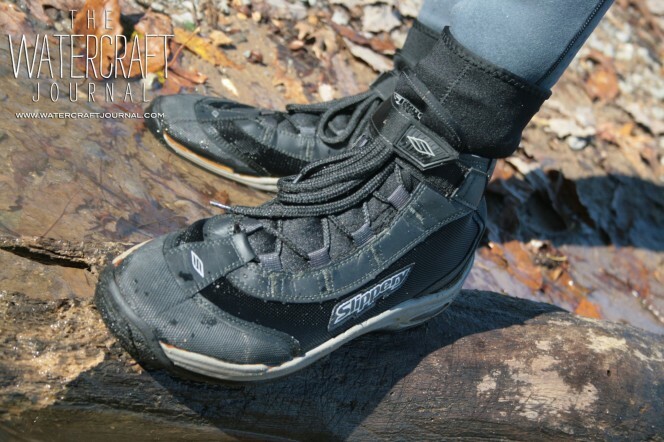 No, the Slippery Liquid Race Boots are definitely a winner across the board.